Kawana is not only Fuji course. A lot of guests play only Fuji course. However, you have forgotten another wonderful experience. Do not forget there is Oshima course in Kawana, too. Oshima course was established in 1928. Original designed is Komyo Ohtani. And, some holes was redesigned by the idea of C.H.Alison. But, Kawana made the description of architect only Ohtani. The reason is that there is no record that Alison remodeled. It is described as "Kawana Oshima Cse redesigned CHA 1936"
Result of my verification. The following matters seem for Alison to have touched. #8 Route of two ways that uses height of geographical features. Very interesting short Par 5 hole ! the left to the right, and the advantage to 2nd shot arises by the ball's rolling. In case of not being at the position that reaches green by make 2 shots. and reach the vicinity of green by the ball's rolling. but it is a risk and a reward. #9 Diagonal Tee box moved. #12 Green site was moved. I took Tom Doak and Brian Schneider and played Oshima 2009. Tom was said to me. "Masa I'm interested in Oshima for redesign work, maybe more than Fuji !" I thought that Tom was surely interesting. 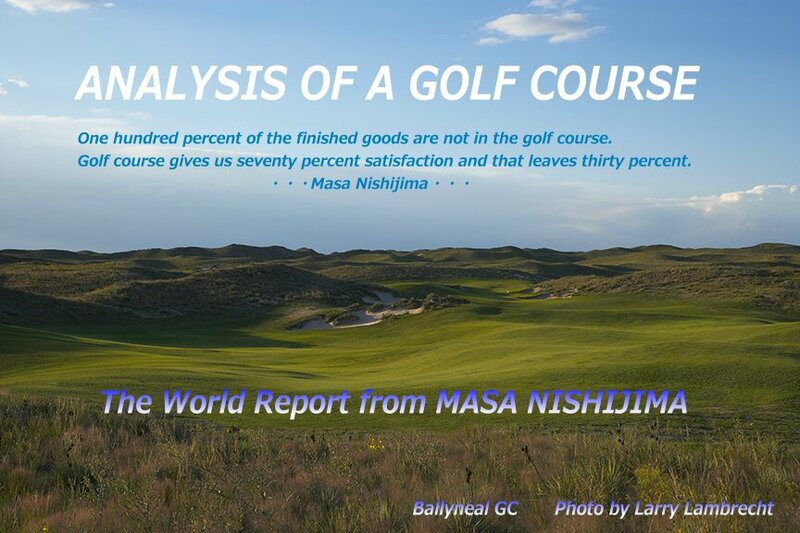 How much golfers visit Kawana if Tom does redesign work for Oshima course? It profits the maximum for Kawana. Oshima couse has nickname in holes. with down slope of the height difference 180 feet. Are you dissatisfied with total yardage? However, the score of you of Oshima course might be worse than Fuji course.